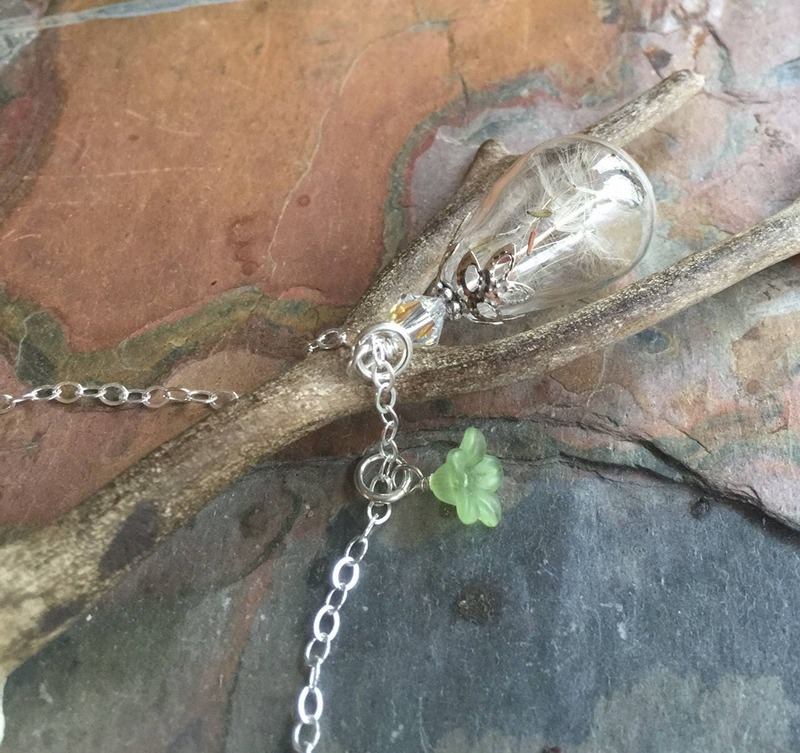 This beautiful one-of- a-kind necklace is perfect as a gift for yourself, bridesmaids, friends, mother or grandma. 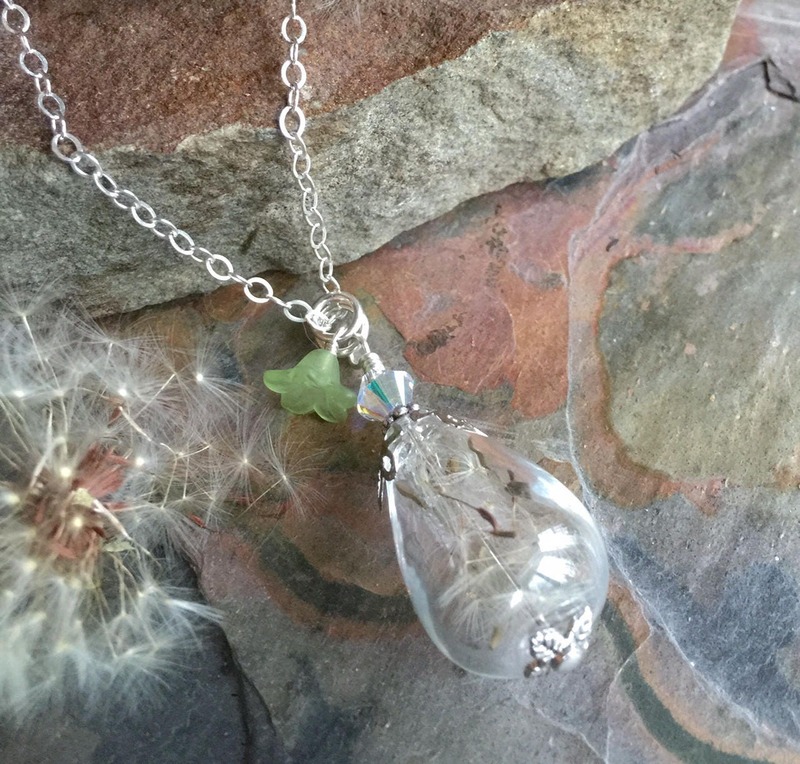 Make a Wish with this unique & beautiful necklace featuring: made with 28mm long x 12mm wide at the largest point hand-blown clear glass orb filled with genuine dandelion flower seeds. 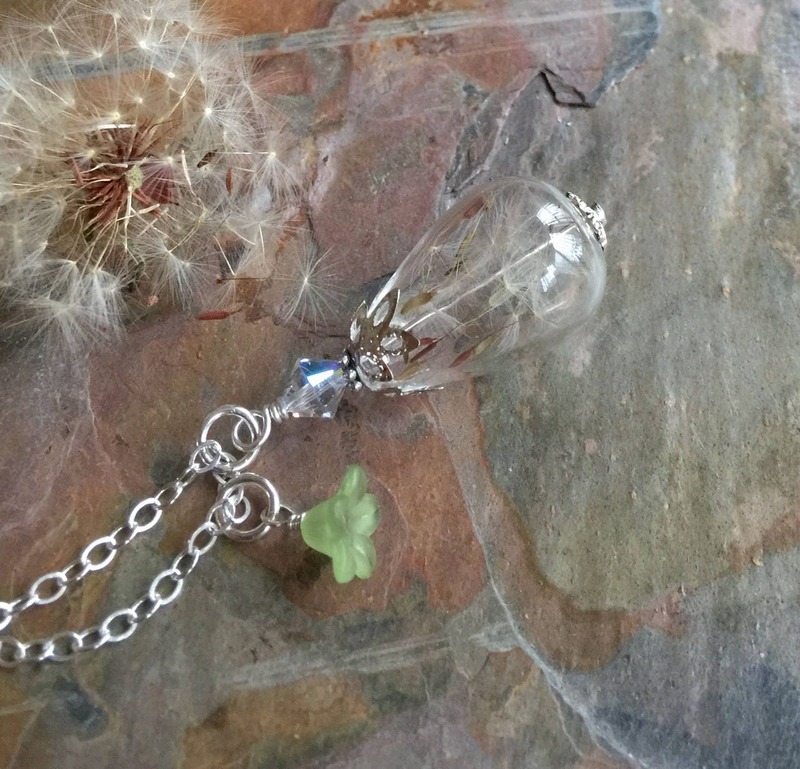 Make a wish by blowing the seeds off. 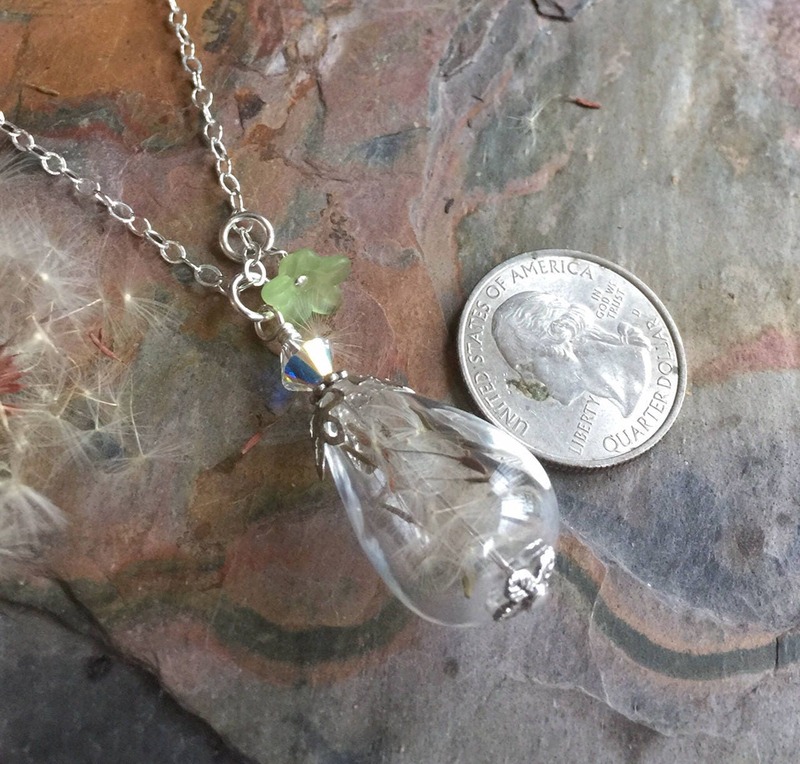 It was said that that blowing the seeds off a dandelion clock while thinking of the one you love will carry your thoughts of love to them.The orb is adorned with silver plated bead caps and matching findings. 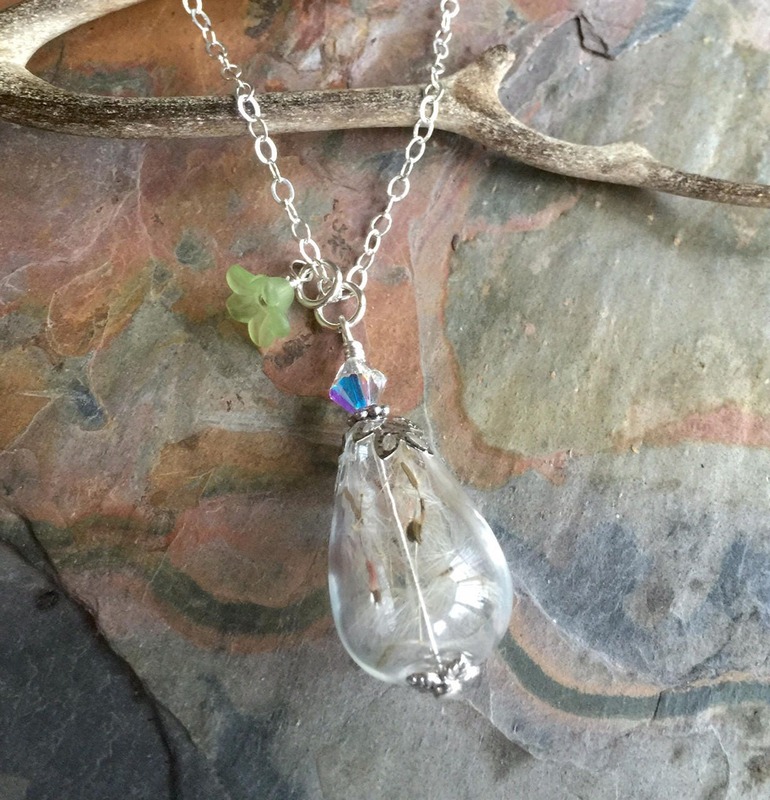 This beautiful pendant hangs down from the .925 sterling silver chain. 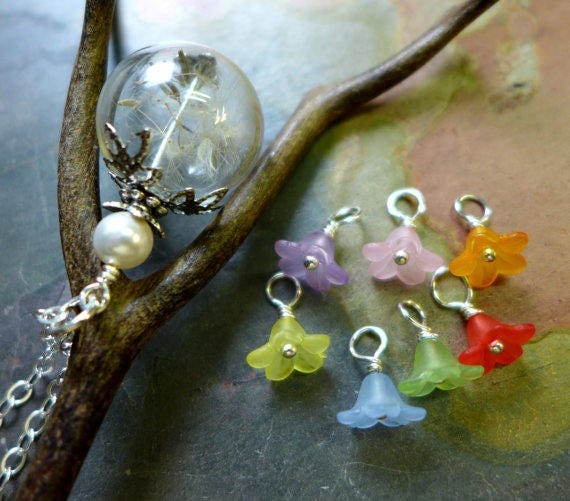 *They are shipped in a gift box with ribbon. 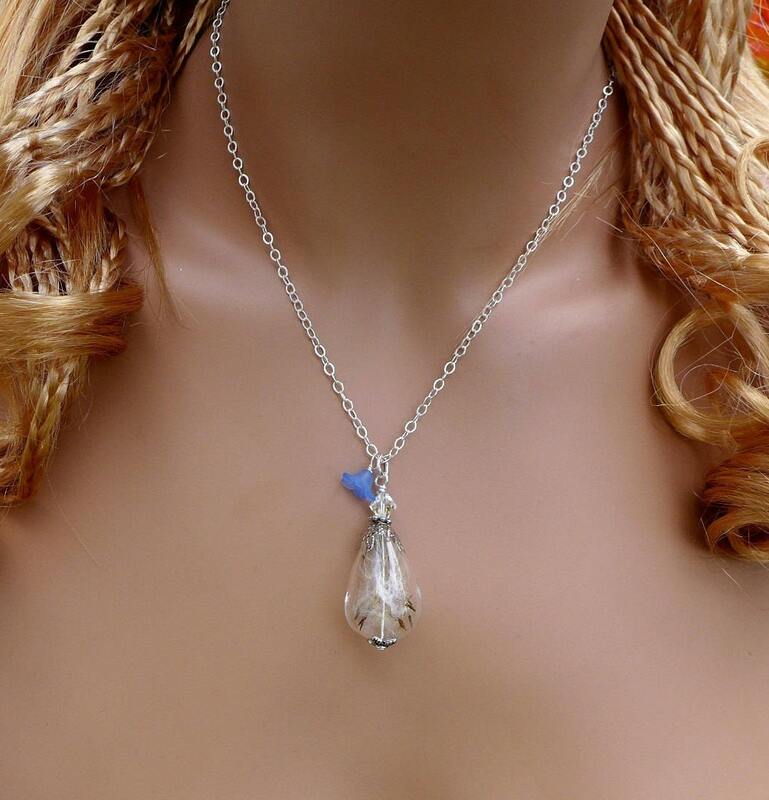 *Ready to give as a gift or gift to your self. ~~Thank you for visiting my shop. ~~Please email me with any inquiries. Got this for a friend who absolutely loved it. 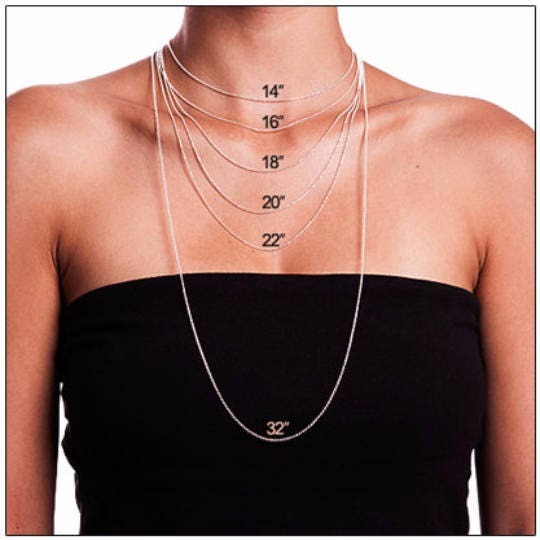 Fast shipping, great quality and very unique.